Volkswagen Polo is set to launch in India in early 2010 expected in January.Polo is the combination of small car and SUV,features based on Volkswagen’s small car Golf and SUV Tiguan,derives spacious interiors from Tiguan.The Polo will be manufactured at the company’s new manufacturing unit at Chakan, Pune, with 50 percent locally sourced auto components. 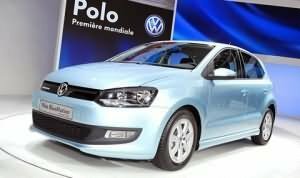 In India Polo comes with the 1.2-litre, 3-cylinder, petrol engine that produces 70 bhp and the 1.4-litre, 4-cylinder, petrol engine that generates 85 bhp of power.Later company will be planning to launch Polo’s diesel version based on the response of petrol version of the car in Indian car market. The price of the car will be in the segment of Maruti’s Swift & Ritz.The expected price of Polo will be between 4.5 lakhs to 7 lakhs.